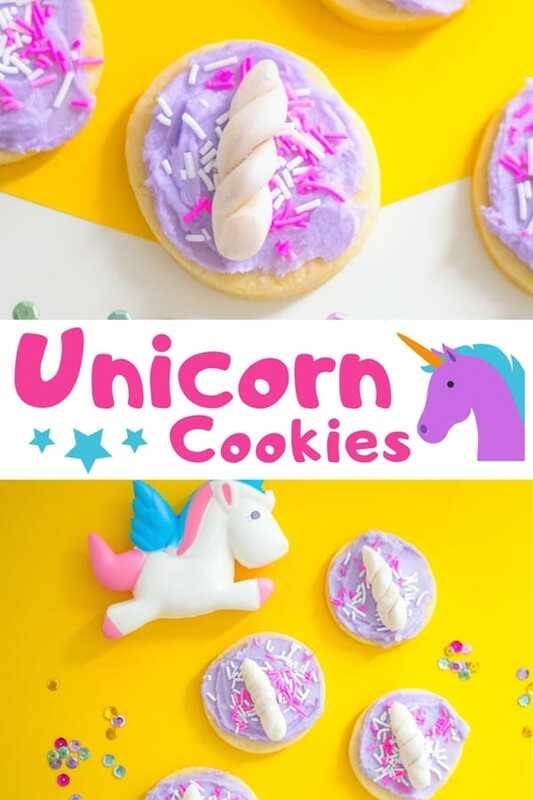 Unicorn cookies, complete with pale purple buttercream frosting and a unicorn horn, make a truly magical dessert for your unicorn party! Unicorn parties, complete with all things unicorn-themed are all the rage lately, and to be honest — I love it! 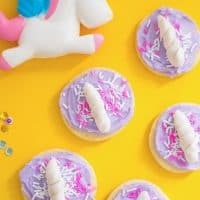 I can't get enough unicorn goodies, and I am always looking for new unicorn recipes. 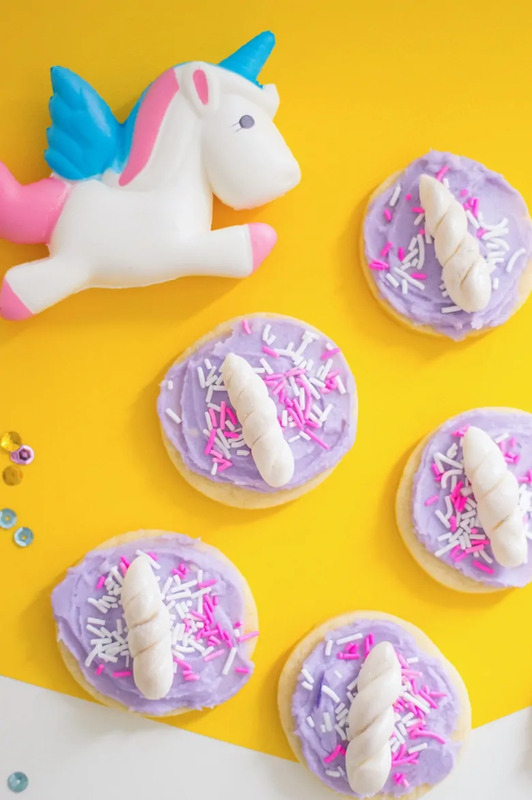 If you are looking for an easy unicorn recipe for your unicorn party, you will love these unicorn cookies. They are easy to make, look beautiful, and taste amazing. The recipe starts with making a basic sugar cookie dough. If you are in a hurry or are looking for a short cut, you can use premade sugar cookie dough from the grocery store instead of making your own. 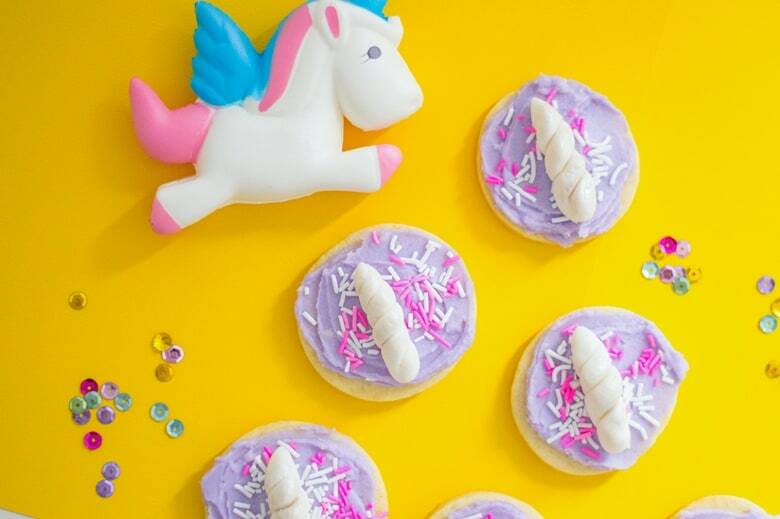 Either way, the key to these magical cookies are in the decorating! After making your sugar cookies, it is time to make the buttercream frosting. 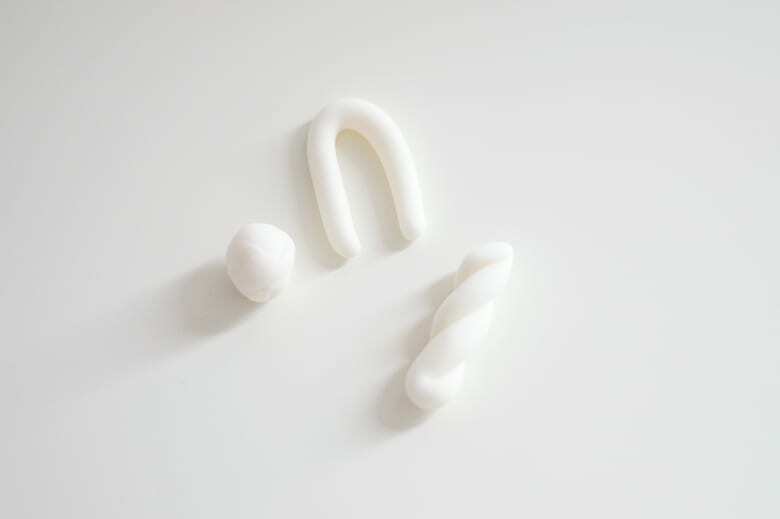 Next, roll and twist white fondant to form unicorn horns. Brush fondant horns with sparkle dust. Then, frost each cookie with your beautiful purple frosting. Finally, add a fondant unicorn horn and some sprinkles on top. Looking for even more unicorn goodies? Check out this simple unicorn popcorn recipe, this magical unicorn cheesecake, and these easy unicorn pudding parfaits! 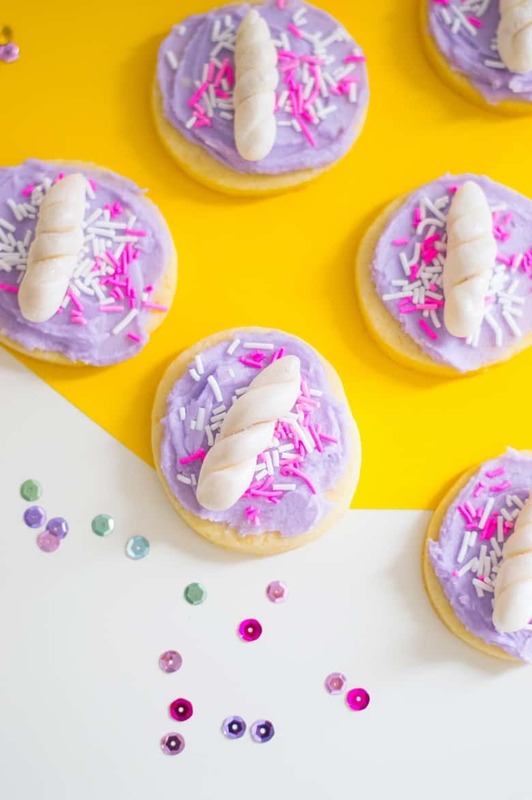 Unicorn cookies -- complete with purple frosting, a unicorn horn, and sprinkles -- make a truly magical dessert for your unicorn party! Make cookies: In a medium bowl, sift dry ingredients (flour, baking powder, salt) together. In a large bowl, beat butter, egg, sugar and vanilla on medium speed with an electric mixer. Slowly add dry ingredients and mix until cookie dough forms. Roll dough into a ball and wrap with plastic wrap. Refrigerate for one hour. Remove dough from fridge and let sit at room temperature for 5 minutes. Roll cookie dough on a floured surface. Cut into circles with a cookie cutter or an upside-down glass. Place cookies on lined baking sheet, about an inch apart. Bake for 12-14 minutes and cool on a wire rack. 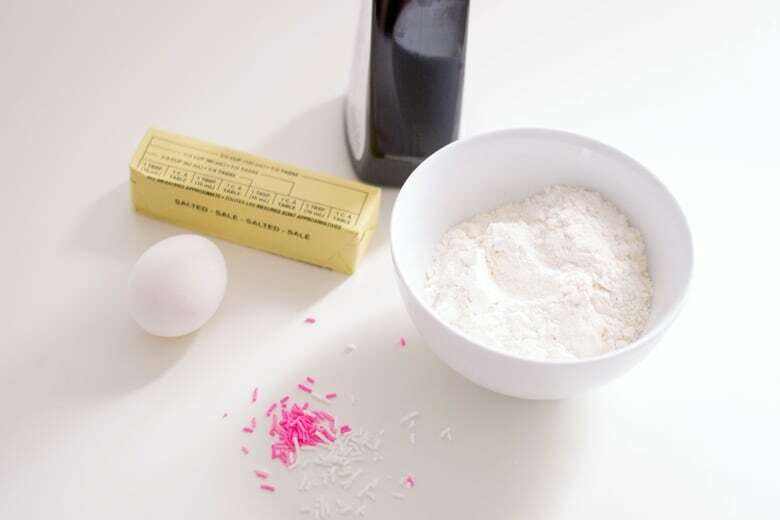 Prepare buttercream: Beat butter, icing sugar and milk with an electric mixer (starting on the lowest speed, making your way up to the highest). Tint the buttercream with violet gel food coloring and mix until buttercream is completely colored. 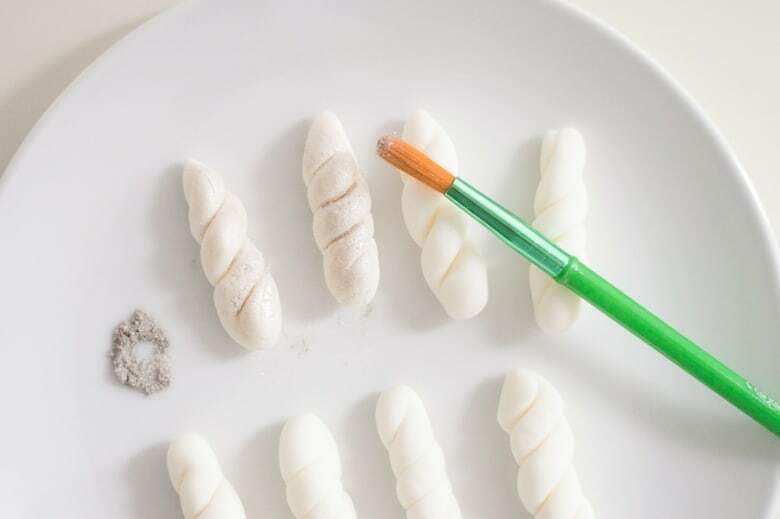 Make unicorn horn: Roll white fondant into 1-inch spheres. Roll each sphere into long strips (about 3-4 inches long) then fold slightly. Start wrapping both ends and twist. Brush with silver food dust. 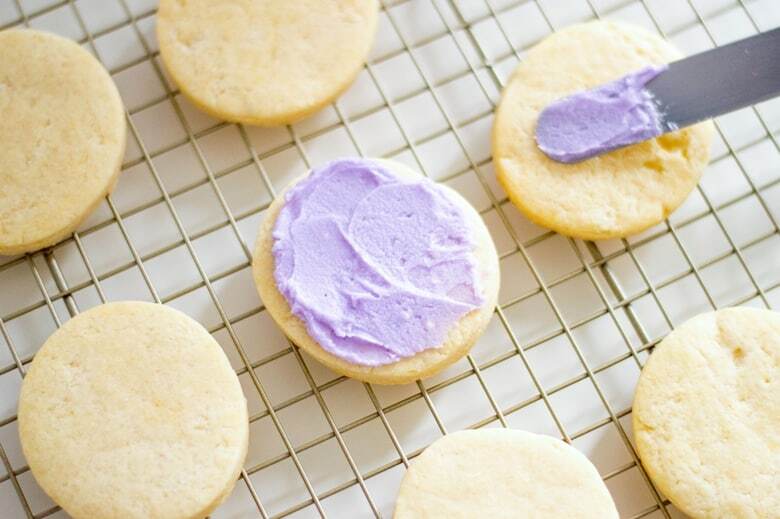 Decorate cookies: With an offset spatula, frost each cookie. Top with sprinkles and one fondant horn. Shared on Meal Plan Monday!